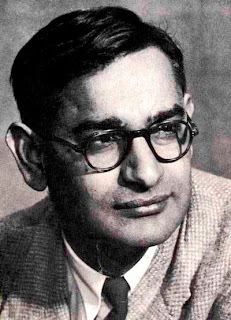 Hargobind Khorana is an Indian- American molecular biologist. In 1968, He was awarded the Nobel Prize in Physiology or Medicine for his excellent work on the interpretation of the genetic code and its function in protein synthesis. This award made him famous in all over the world. 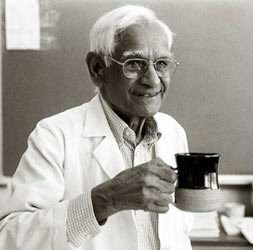 He was the citizen of India but he became a naturalized citizen of the United State America in the year 1966, and subsequently received the National Medal of Science. Currently he is living in Cambridge, In United State as a part of the MIT Chemistry faculty. 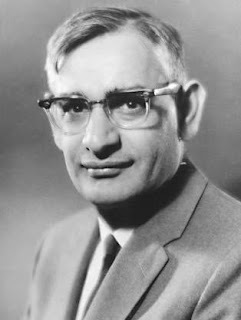 Hargobind Khorna was born into a poor family on January 9, 1922 in a small village of Raipur, Punjab (now in Pakistan). His father was the village patwari or taxation officer. He completed his secondary education from D A V High School in Multan, now in Pakistan. He obtained his B.Sc. and M.Sc. degree from Punjab University at Lahore. Then he went to England on a Government scholarship and there he obtained a PhD from the University of Liverpool in 1948. 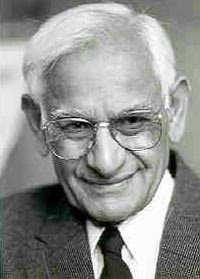 Dr. Khorana spent a year in Zurich in 1949 as a post-doctoral fellow at the Swiss Federal Institute of Technology and returned to India for a brief period in 1949. 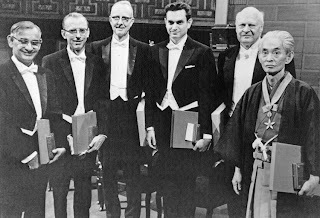 He returned to England in 1950 and spent two years on a fellowship at Cambridge, and began research on nucleic acids under Sir Alexander Todd and Kenner. His interest in proteins and nucleic acids took root at that time. In 1952, he went to the University of British Columbia, Vancouver on a job offer and there a group began to work in the field of biologically interesting phosphate esters and nucleic acids with the inspiration from Dr. Gordon M. Shrum and Scientific counsel from Dr. Jack Campbell. Khorana married with Esther Elizabeth Sibler in 1952 and they have three children, two daughters Julia Elizabeth, Emily Anne and one son David Roy. When he returned to his native place, he was unable to find academic work in Punjab’s crony-filled colleges. Khorana instead sought a career in Canada and finally the united state. Dr. Khorana who showed how the genetic code determines all life processes by directing the synthesis of all cell protiens finally unraveled the secret of the DNA code of life. Dr. Khorana won many awards and honors like the Novel Prize for his achievement. 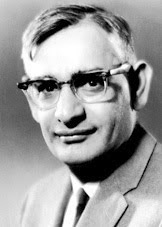 Distinguished Service Award, Watumull Foundation, Honolulu, Hawali, American academy of achievement awards, Philadelphia, Pennsylvania, Padma Vibhushan, Predential Award, J C Bose Medal and Willard Gibbs medal of the chicago section of American Chemical Society. He was also elected a member of the National Academy of Sciences, Washington, as well as a Fellow of the American Association for the Advancement of Science. In 1971, he became a foreign member of USSR Academy of Sciences and in 1974, an Honorary Fellow of the Indian Chemical Society. Khorana’s work, which is an most important scientific landmark of the twentieth century, has brought closer the day when synthetic DNA may be introduced into the defective human tissues to bring about their repair or treat mentally retarded people and change them into more intelligent and healthy human beings. His synthesis of RNA, capable of replication in laboratory, is a step towards the creation of life artificially. In fact, the research has opened up a new branch called Genetic Engineering in Science.